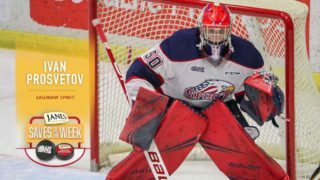 The Guelph Storm announced today that forward Scott Kosmachuk is the Hy-Grade Steel Roofing Player of the Week for the week ending Sunday, November 25th. 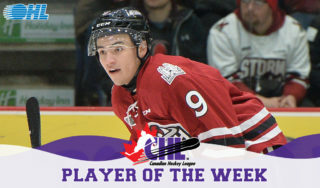 Kosmachuk had the best week of his career last week recording eight points in three games (six goals and two assists). 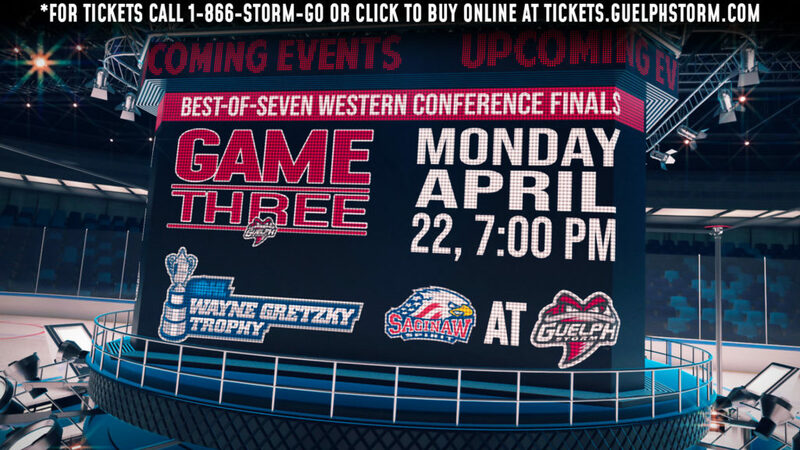 He started the week off with one goal in the Storm’s 8-0 victory over the Mississauga Steelheads. On Friday night at the Sleeman Centre, the Toronto native was awarded with first star honours recording three points. He scored the first Storm goal of the night, assisted on Brock McGinn’s tying goal and scored the winning goal in the third period as the Storm defeated the Otters 3-2. On Saturday against Ottawa, Kosmachuk had the second four point game of his career. 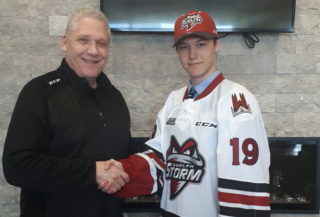 Scoring the hattrick and helping set up Zack Mitchell for his 10th on the season, the Winnipeg Jets prospect picked up first star honours for the second consecutive game as the Storm defeated the 67’s 7-5. Kosmachuk currently has 32 points, 18 goals and 14 assists and sits one point behind Tanner Richard for the team lead. He leads all Storm players in goals with 18 and power play goals with seven. His hattrick on Saturday is the second of his career. 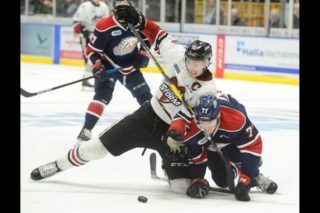 He scored his first in the opening game of the 2010-11 season against the Windsor Spitfires. 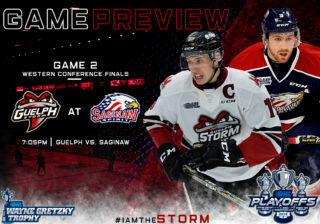 Next up, the Storm host the Brampton Battalion at the Sleeman Centre at 7:30pm on Friday night before travelling to London to take on the Knights on Saturday.